If you’re looking for an artistic way to divide a larger-than-needed room, then you’re looking at the right thing! 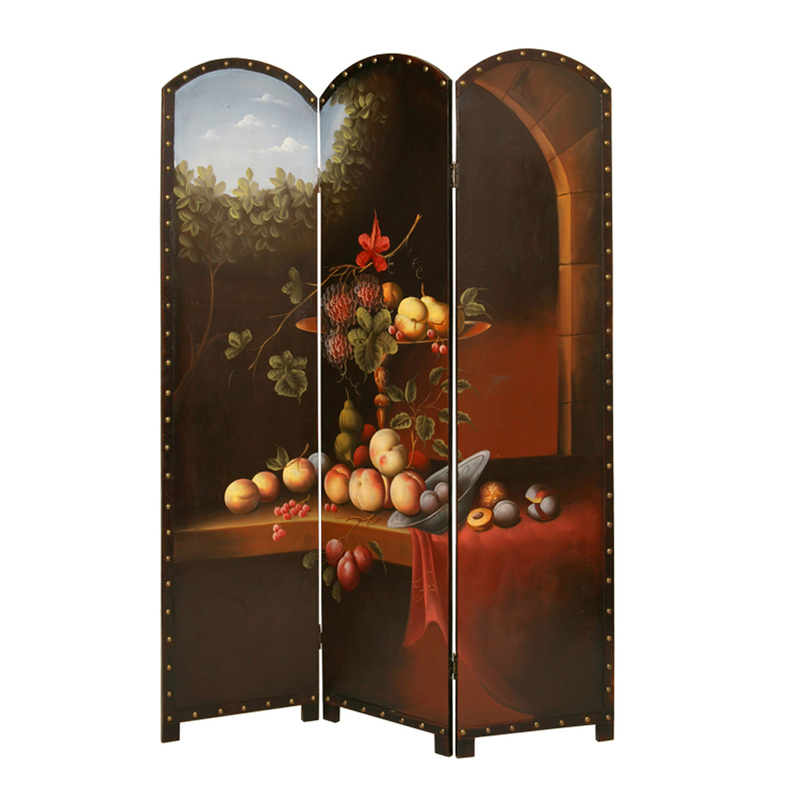 Our Painted Fruit Potpourri Screen is a three-panel floor screen that is hand painted with oil artwork of cascading fruit and flowers on a wooden table. Simple, classy and artistic, this screen works well with any home with any décor. The border of the screen is trimmed with antique brass button nail heads and is finished on one side only. The back has a solid brown wood panel.